Many weavers are seed eaters and may thus feed on small grain monoculture crops causing economic losses to agriculture. 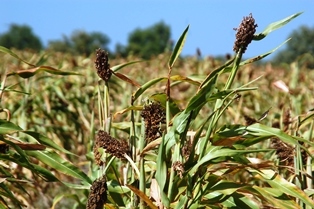 Important crops that are attacked by weavers include like wheat, millet, sorghum and rice. There are major pests in Africa (several species), southern Asia (Baya Weaver) and in the Indian Ocean islands (Red Fody). 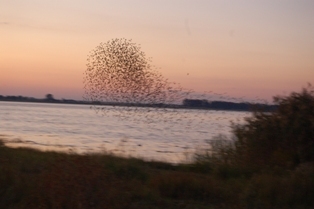 Many of the seed-eating weavers are nomadic opportunists, and can move some distance in flocks to concentrate at crops. The greatest avian pest is the Red-billed Quelea because it is so abundant in sub-Saharan Africa. Read more about the quelea here, a listing of news articles including stories about its pest status. Although may weavers are an agricultural pest at times and in certain locations, they also provide useful ecosystem functions (read here). The lists below give an indication of the species that have been recorded as agricultural pests, but the list is not necessarily exhaustive.